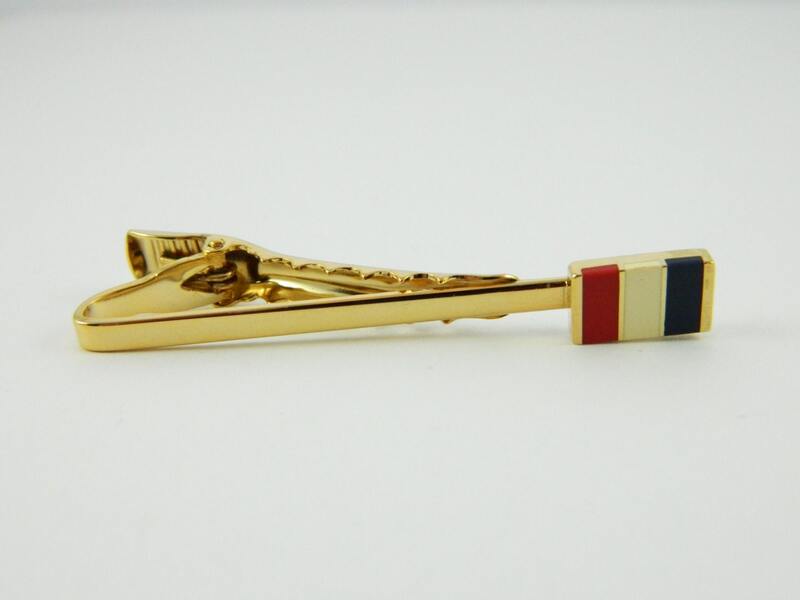 Viva La France Tie Clip. 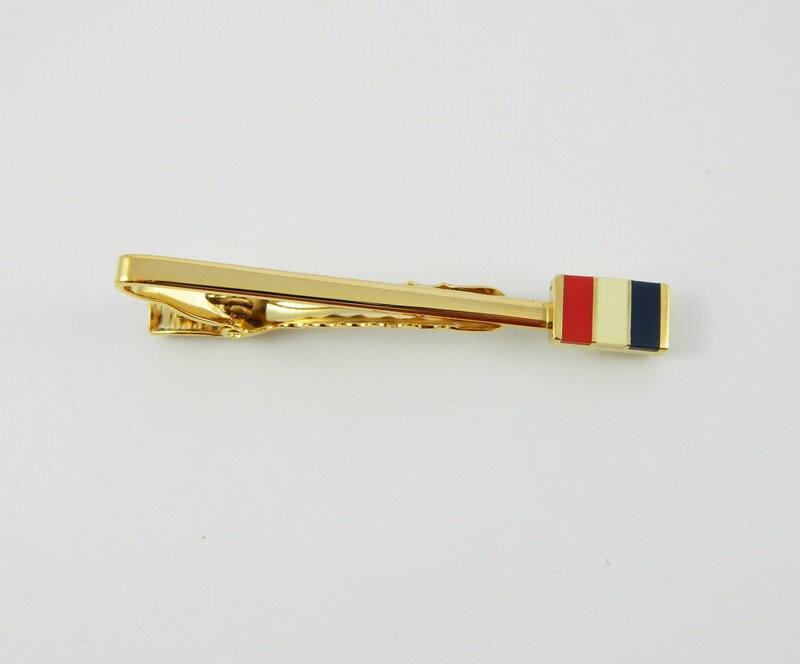 Gold Tie Clip with Red, White and Blue stripes. Material: Gold Plated Brass and Enamel.